Putin insists that Russia’s approach to ballistic missile defense will not depend on whether Americans choose Democrat Barack Obama or Republican Mitt Romney. “The most important thing for us is that, even if Romney doesn’t win now, he or a person with similar views may come to power in four years, and we must take that into consideration while dealing with security issues from a long-term perspective,” Russian President Vladimir Putin said after a meeting with Serbian President Tomislav Nikolić in Sochi. In a recent television broadcast, Putin re-affirmed that he was ready to work with any president the American people elect. In Sochi, he spoke in more detail about Russian-American relations in the context of anti-missile defense. Is Russia really relevant in the U.S. foreign policy? 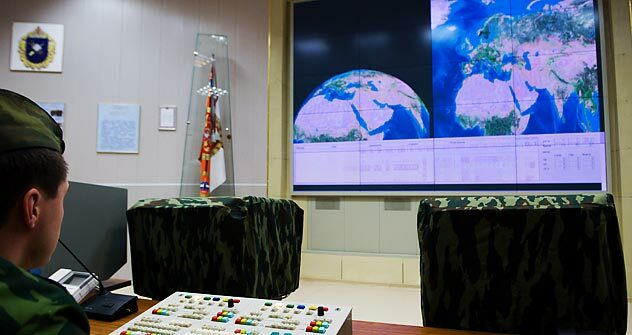 Anti-ballistic missile defense is the main point of difference between the United States and Russia in field of security. Their approaches are diametrically opposed: Russia is concerned about plans to deploy American missile defense close to its borders while the U.S. insists that Russia has nothing to worry about, but still refuses to provide written guarantees that its missile-defense system is not targeting Russian defense capabilities. Putin noted that Romney, with his statements, has once again proven the correctness of Russia’s approach to missile defense problems. “He not only convinced us, but also, I think, the international community and our European partners,” Putin said. Experts have strong doubts about the effectiveness of the U.S. missile defense plan. But, as Deputy Director of the Institute for the USA and Canada Pavel Zolotaryov explains, it cannot be assumed (as it was during the Cold War) that a hypothetical conflict between the two countries meant an exchange of nuclear strikes. The situation has changed. “The current trend is that, even is the possibility of nuclear conflict is assumed, it may be limited to strikes on isolated or group targets. To rule out single nuclear strikes being delivered with impunity, the potential of the ABM must be taken into account. Russia’s fears are well grounded,” Zolotaryov said. The ongoing debate over missile defense tracks closely with the progress of the plan to deploy American interceptor missiles and radar in Europe. These proposed missiles would be placed close to Russian borders, notes Yevgeny Buzhinsky, a retired lieutenant-general and advisor to the PIR Center. “We are talking about the Baltic Sea and possibly the North Sea and the placement of AMB elements in Poland. The threat is real because these elements are technically capable of intercepting our ballistic missiles, though the Americans deny it,” said Buzhinsky. Moscow’s concerns are ignored by both Democrats and the Republicans. The idea of a global ABM system was revived in the 1990s by former President Bill Clinton, but the plans got a powerful boost under the next president, Republican George W. Bush. President Obama has merely modified this position. “Missile defense cooperation with Russia is a presidential priority, as it has been since George H.W. Bush,” said Frank Rose, Deputy Assistant Secretary of State for Arms Control, Verification and Compliance. In fact, the American ABM system is the fruit of a bipartisan agreement within the American political elite, so it makes sense that the Kremlin’s policy on the issue would not change depending on the party affiliation of the U.S. president. The next U.S. presidential term, which expires in 2016, will oversee the third phase in the deployment of ABM in Europe, which may be the time for the Russian authorities to make crucial decisions on security issues.